My friends and I were in raptures over this totally superb dining experience. Enjoying beautiful views, attended to by knowledgeable, friendly wait staff, we were served exquisitely prepared local food, each course paired perfectly with wine. As the non-drinker in the group, I was blown away by the selection of delicious, creative non-alcoholic drinks which complemented the food so well. We found a worm in our dish and that was absolutely disgusting. Our birthday lunch was ruined because of it. A fantastic dining experience! The menu strikes a beautiful balance all the way through, Despite being very innovative. The staff were excellent, friendly and great hosts. I can strongly recommend dining at Laura. Beautiful lunch. Service, food and atmosphere fantastic. An exceptional experience, fantastic food, service, atmosphere and paired drinks. Fabulous food- innovative and caters exceptional well for pescatarians. Fine dining at its best. Service was excellent and the food was delicious. Overlooking the beautiful gardens. We both thoroughly enjoyed the dining experience at Laura for our wedding anniversary. An excellent table looking out on the sculpture garden and service that could not be faulted. The meal was superb and we particularly enjoyed the discussions with the waiting staff and the explanations they gave on each dish served. Atmosphere was beautiful, looking out over the sculpture park. Wine was excellent. The set menu shows a range of peninsula local produce which is great, but the 3 entrees were a bit over complicated. Staff great, had a great chat with a young man who was very knowledgeable on the drinks. Overall great and would come again! Laura is definitely an ''occasion'' destination. It is a great way to have a proper celebration. The ambiance & outlook are outstanding. The sommelier showed his great knowledge of wines served [we had full degustation] & food staff knew about what was served. Be prepared for an expensive evening but you go knowing that. It is possible to ''trim'' the cost of the outing & next time I would possibly do that but for a first time you should go all out & enjoy a wonderful experience. A most enjoyable evening. Ambiance superb. Professionalism of staff commendable. Care and selection of ingredients and the translation into the courses provided in our selection met our expectations. We made a dinner reservation at Laura to treat ourselves after hearing of its wonderful reputation for fine food, delicious wine and a lovely ambience. Unfortunately, my husband and I could not have been more disappointed. I don't believe what we were fed was fine dining and I believe both the food and fine are overpriced for the quality. The restaurant itself is just an extension of the Pt Leo restaurant, has no music or general ambiance other than the loud chatter of fellow patrons cramped around you and even the small tables and plastic chairs looked like they were out of a cafeteria. Very odd. 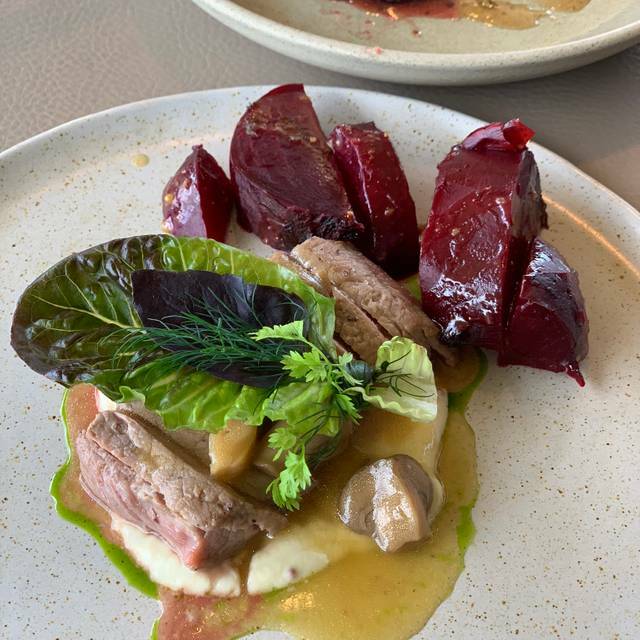 The food itself was surprisingly quite bland and when it wasn't, the flavours weren't balanced and there was definitely no exciting meals or fun flavours that you'd expect from a fine dining restaurant. 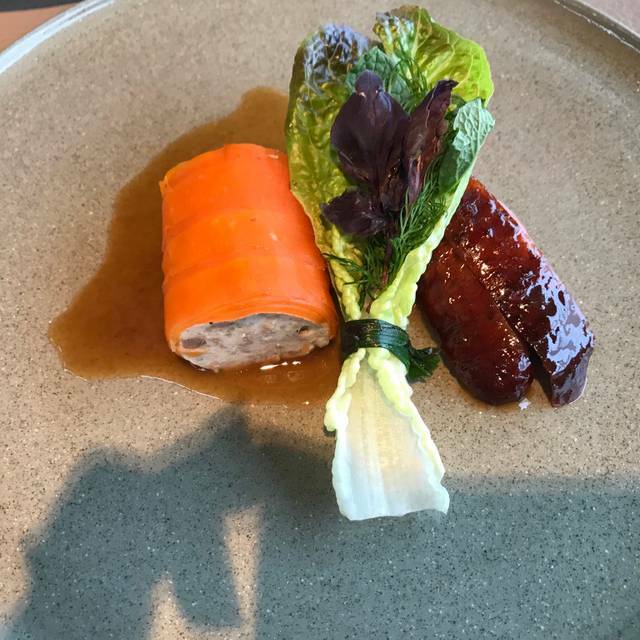 The crab entree had no crab flavour, the caviar didn't pop, the duck was rubbery and seemed as though it had been left out for a while before we received it and the fish main was a fillet (which was cooked perfectly) wrapped in seaweed with a side of diced tomatoes. What's fine dining about that?! The cheese dessert had a delicious cheese but we both left the rest of the dish which was bland and frankly, unappetising. The sweet dessert was enjoyable but was strawberries and cream in a meringue cup! I could cook that at home! That's not why I spend a weekend on the peninsula just to attend this lavish restaurant! We are beyond disappointed and what's truly sad is that the cost was irrelevant to us, we just wanted a wonderful experience irrespective of cost and so just feel really let down. 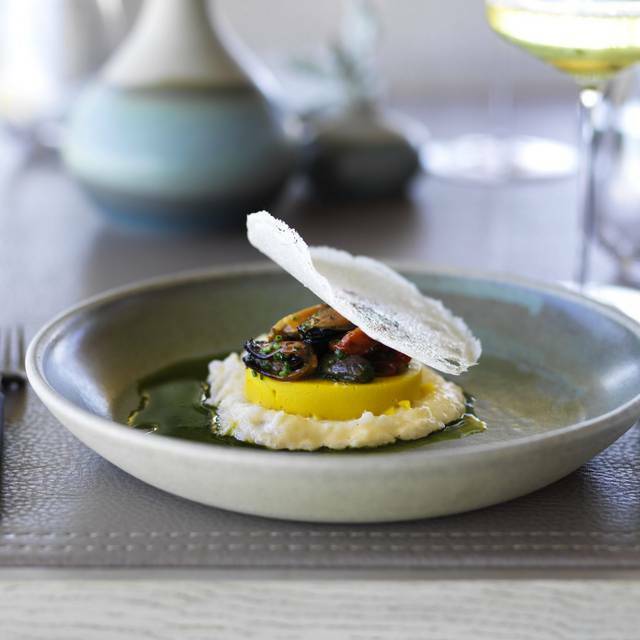 It is well worth the trip to Point Leo to lunch at Laura. The space is calming and the view wonderful. The service was excellent and the food was also outstanding. 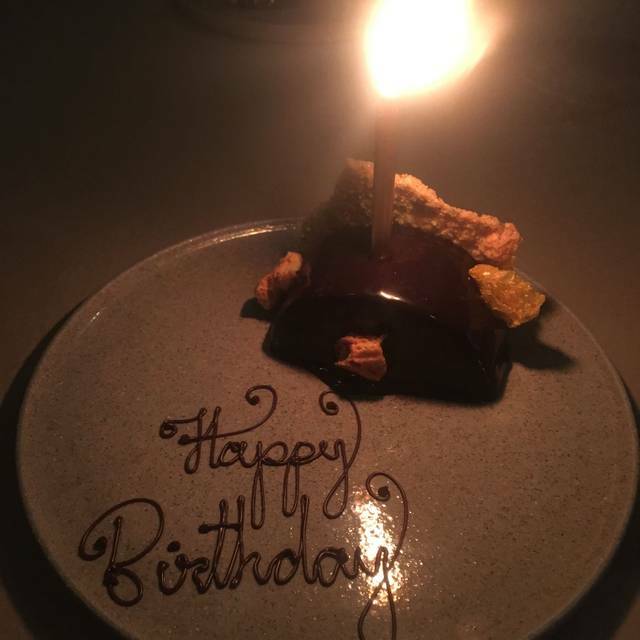 It was my husband’s birthday celebration and the addition of a slice of cake with a candle was a really lovely touch to finish a stunning meal. Lunch at Laura was a fabulous experience! The six course menu with matched wines was possibly our best lunch ever! Highly recommended for a special occasion. The is a very "gourmet" dining experience. 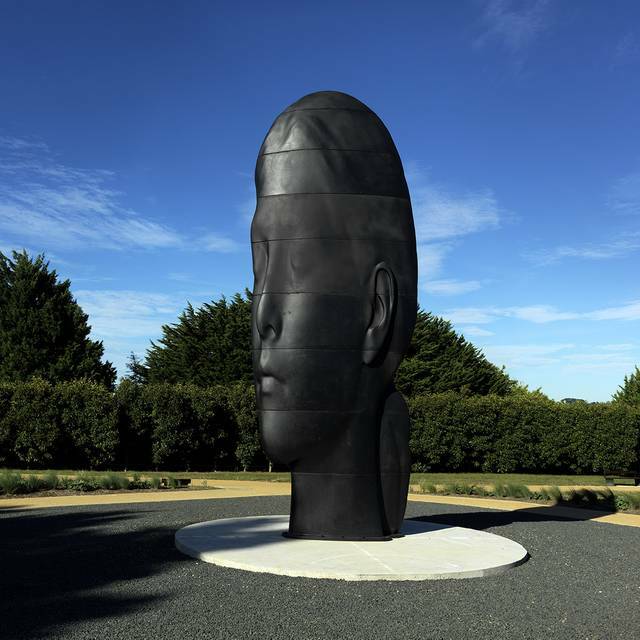 The location is unparalleled and a one hour walk round the sculpture park and a quick wine tasting before are well worth arriving early for. Our food was exquisite - interesting takes on each dish. Not much choice, but everything done very well. This is tiny portion of delicious morcel type dining, not a "feed". We did the wine pairing, and that was well worth it - very knowledgeable sommeliers (although maybe a little long winded on the descriptions!) but fabulous choices of wines/beers to compliment. Service was attentive, but reasonably slow for food to arrive...borderline too long. But for many courses and a special night, just about ok. Overall would recommend for very special occasions - one of the more pricey dinners I've had for a while, but very memorable. Exceptional food in a beautiful setting with great service. Amazing experience from the happy birthday greeting from every staff member who served us, the food and to the fantastic non-alcohol drinks that matched the food so well. Would highly recommend and hope to return. We had a beautiful dinner at Laura. The space is gorgeous and has been designed with every small consideration kept in mind. The food and drinks were amazing and the service was 5 star. We are looking forward to coming back soon. 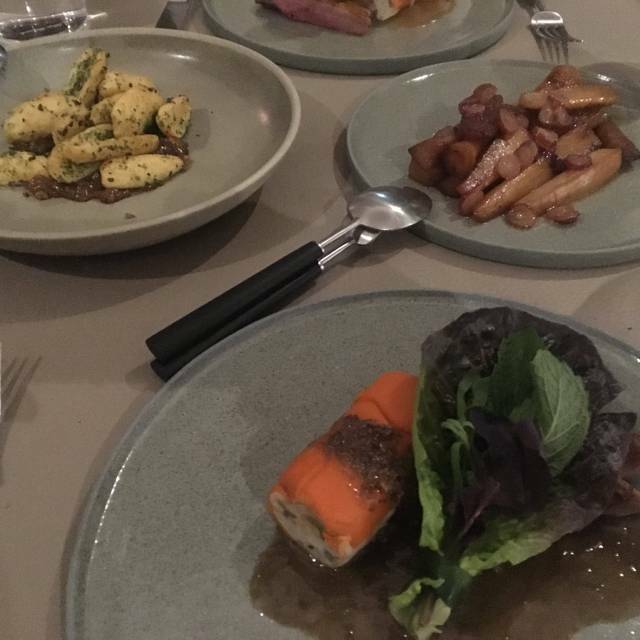 We have dined at over 80 of Melbourne's best Restaurants in the last 4 months (Matilda, Chin Chin, Navi, Tarra Warra Estate, Rare Hare, Doot Doot Doot, Epocha, Marion, just to name a few) . Although, the ambiance and the customer service were exceptional, the quality of food was not on par. This was the most expensive of the restaurants we have dined at and was one of the least satisfying. Credit to your sommelier and his extensive knowledge on local and imported wines. Exceptional service and delicious food. The brioche rolls were to die for, each degustation serve was beautiful. What we enjoyed was the portion size are not too small, perfect for degustation. The flavours were beautiful. Also enjoyed the main degustation course, on the day, we had a small piece of steak but served with a small avocado on arborio type rice and a very small salad to share. The wines at Point Leo Estate were beautiful too, especially the 2014 Chardonnay. Great setting with an amazing view overlooking to Philip Island and lawn was decorated with amazing big sculptures. The customer service both at the Wine Tasting as well as Laura Restaurant was excellent. It was nice to see the service was warm and personal (ie not robotic or being guided what to say). 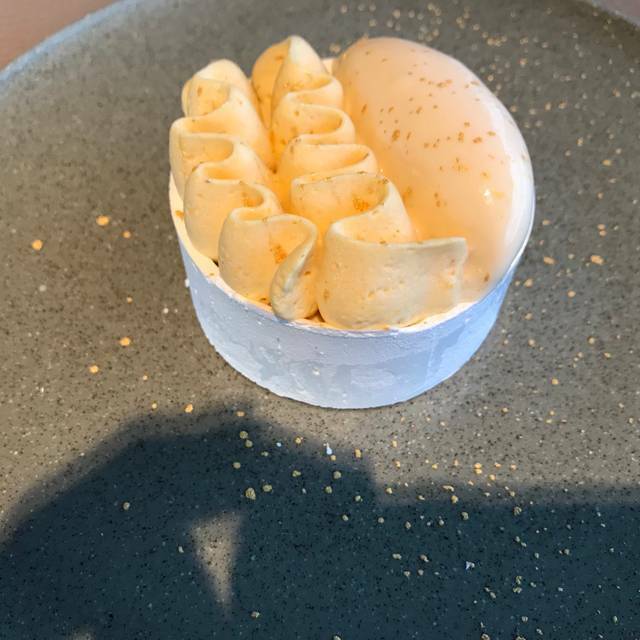 Though it is a pricey restaurant, but for a special occasion, it was definitely worth a visit. We would like to thank Ian (Wine tasting bar on Sunday 27th Jan 2019), Ainslie and Sarah (Laura Restaurant). I would especially like to thank Ainslie for looking after me after I felt ill towards of our lunch, thank you for the soda water for our trip home. We will certainly come back one day. Amazing experience, staff with amazing knowledge. Best restaurant we’ve been to in a long time. Gun young chef. Wow!! If I owned the place I would probably upgrade the furniture, just to make it look more classy than the other half. However the furniture was fine to sit on. Lovely open room, beautiful view (so a lunchtime was perfect), excellent food and service. A couple of times I wanted to lick my plate as the flavours were so delicious. From the moment we walked through the door into Laura we knew we were in for a beautiful experience. The Manager greeted us with such warmth and lovely conversation. We instantly felt comfortable and relaxed. The room is light, bright and airy. The detail is really something. From the Zalto glassware, leather topped tables, natural linen napkins, native flowers, architectural lighting, music that lifted just enough by the end of lunch - all of these little details made it feel special and entirely seamless. We (table of 2) decided to opt for 5 of the 6 available courses. I chose to enjoy the matched wines, which I highly recommend doing! The Somm had some great insight into each of the wines - I loved every glass! Our waitress was wonderful. Warm, engaging, attentive, knowledgeable and not too familiar - perfectly professional. She explained each dish with detail and good humour. Every one of our 5 courses arrived very well timed out of an immaculate open kitchen that seemed to tick along with a calm energy. My stand out dish was the Veal blanquette Main Course. It was rich but freshened with all the lovely condiments (well dressed salad and an Avocado sitting atop sushi rice with hazelnut, delicious!). I loved it. The strawberry meringue dessert was the perfect, sweet finish. I cannot thank the team enough for such an enjoyable day. It was one to be remembered! We will most definitely be back! THANK YOU! Superb food and great service although sometimes a bit slow with wine. Ambience is a bit stark but very clean and modern lines. A great addition to the Peninsula. Laura was outstanding and a great place to celebrate our wedding anniversary. Our waiter, who was also called Laura , was great and we have already made another reservation for March. It was such a wonderful experience and a beautiful location. Food was fantastic, interesting wine matches, very good service. 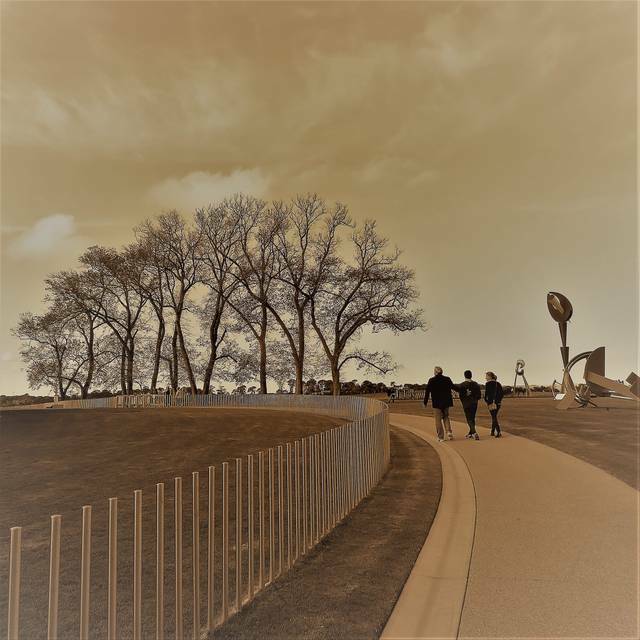 Overall experience enhanced by the opportunity to have a wine tasting pre-dinner and walk around the sculpture park. The magnitude & simple elegance of the facility lures you in on arrival . The greeting is gentle, immediate & warm. The busyness of Pt Leo restaurant awakes you!, and reminds you an abundance of delight awaits you. The minimalist "Laura" draws you in . The softly spoken unobtrusive staff awake your senses & entice you to culinary delights anew. The wine is offered & poured in the finest of glasses & oysters, if preferred are swiftly procured with a vinaigrette , exquisitely made of French Champagne . Fits as tasteful as the Pinot Gris! The rest is for the novice , like us to , to delight in ! The Archie's Creek fillet is the best we've ever rated. Likewise the Exoresso Martini I've observed on the adjoining table ! What a splendid finishing touch . Pt Leo Estate - we'll will return! Great restaurant serving interesting food combinations from locally sourced ingredients. Beautiful presentation and friendly helpful staff prepared to suggest alternatives for dietary requirements. Great concept, great service, but sadly, the food disappoints. We were very impressed with friendliness of the staff and their knowledge of the food & wine. Food was so very different & excellent presentation & taste. We were a little disappointed. Having really enjoyed the food in the main restaurant, we felt the experience at Laura wasn’t as good. It took 30 minutes to be given a menu. With a 8.30pm reservation - we were getting a little hungry! Drinks took ages to arrive and oysters arrived well before my glass of champagne. Our first round of brioche rolls were over cooked - dry and too hot. My husband asked for a second and it arrived frozen in the centre. We told the wait staff and they apologised profusely and bought a replacement - completely delicious - soft and buttery. We then asked for a second round of rolls to improve on the first lot, but this time they arrived over cooked (or over reheated) and dry again. I don’t think there is any excuse for a restaurant of this calibre to not be serving freshly baked in house bread. The staff were very accommodating of dietary requirements and happily arranged a vegetarian, no seafood and no cheese option! We opted for the 5 courses (skipping the cheese course) and the food was good without being amazing. The service felt clunky. 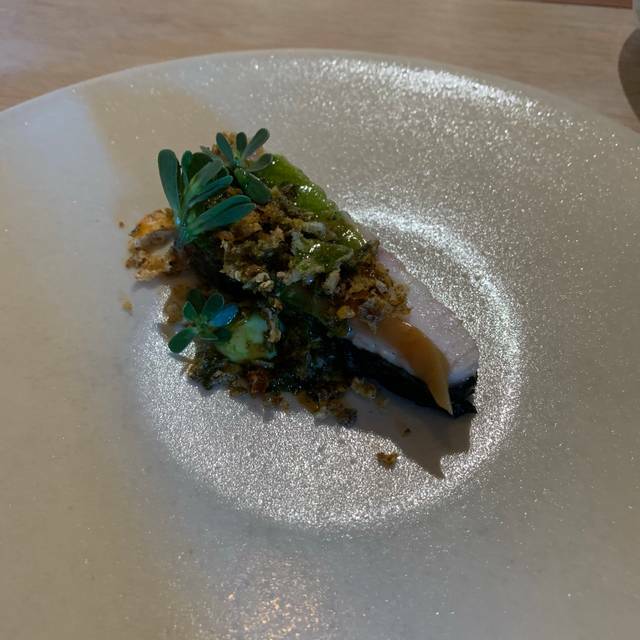 Overall, it didn’t live up to our expectations (given the awards and media coverage) and it’s very hard to justify that bill when it hasn’t been an impressive experience with superb food and service.